We only have the 220V machine. For US buyer, we will ship this machine with a 110V to 220V voltage converter, please confirm you can accept it. Suitable for all types of shoes, quickly and easily. 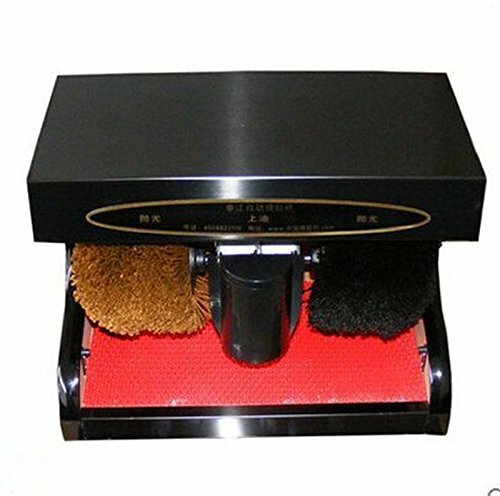 This electric shoe shiner is a practical machine for the home, in hotel, home, office, supermarket and many other places . The machine is started and stopped by means of automatic pulse type sensor. With 2 other soft brushes, one to apply polish and other to complete shine (or for different color shoes!) will make your shoes like new.